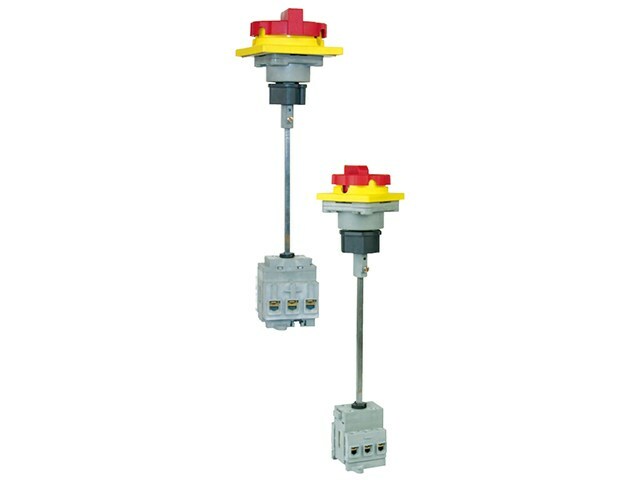 disconnectors and fuse-combination units, IEC60204 manual switch-disconnectors, the mechanical operation also is in accordance with requirements of standards. other load equipment during maintenance. It can use three locks at most in breaking position. 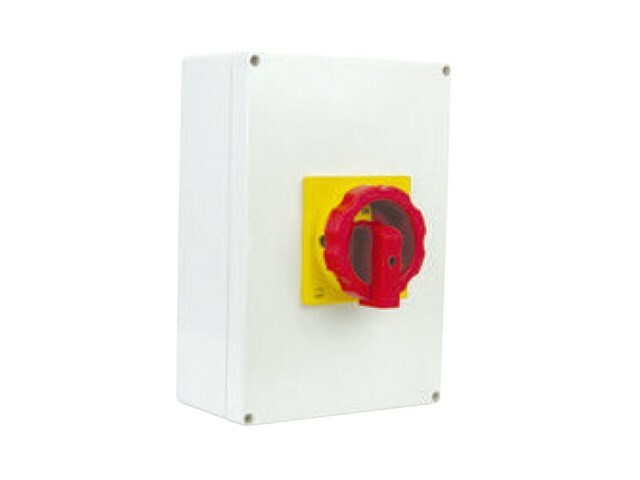 The sixth one: box type: 0 means without switch box; 1 means iron seal box of ingress protection IP40 (general use); 2 means iron seal box of ingress protection IP54 (for outdoor use); 3 means hot-moulding seal box of ingress protection IP65 (for outdoor use); 4 means stainless steel seal box of ingress protection IP65 (for outdoor use). 4.1 Ambient temperature Do Not exceed 40, and the average temperature ,measured over a period of 24 hours, Do Not exceed 35. 4.3 Should not be installed above 2000m above sea level. 4.4 The humility should not exceed 50% when the ambient temperature is 40 and higher humility is allowed for lower temperature. 5.1 Small volume, compact structure, stable performances, long service life. 5.2 Finger shield function, prevents from electric shock caused by contacting live parts accidentally. breaking, and the long breaking distance of contacts sharply improves the reliability of switch. screw type installation and guide-rail installation of 35mm. 5.6 Universal joint connecting mechanism between the main body of lengthened transmission bar switch and knob handle has an eccentric distance5mm that surrounds the axle center as well as a regulating distance of 5mm in axial direction, which enables the base installation type has strong adaptability. 5.7 This product can be equipped with indoor or outdoor used insulated box, the box body contains general steel sheet type or stainless steel type that has strong corrosion resistance, and hot moulding type that has strong impact resistance. Ingress protection of the product is IP40~IP65. 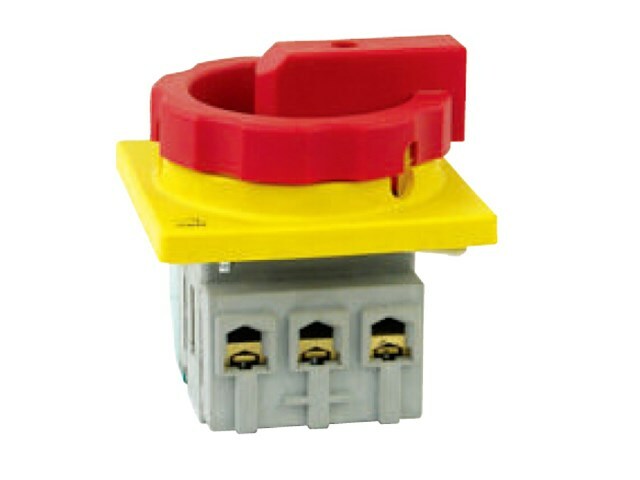 6.2 The switch should be installed according to the operation instruction provided by our factory. If you have any enquiry about quotation or cooperation,please feel free to email us at juche@juche.cn or use the following enquiry form. Our sales representative will contact you within 24 hours. Thank you for your interest in our products. JUCHE GROUP is an inter-industry and inter-regional operation enterprise with 20 years of production history, also a large-sized modern manufacturing group enterprise engaged in producing HV/LV complete equipment, transmission & distribution equipment, ultra-high voltage transformers, machine tool electrical apparatuses, construction electrical apparatuses, elements, bus ducts, wires & cables, enameled wires, alloy copper busburs and CNC machine tools, etc..